Fresh cilantro, rough chopped --- 4 Tbsp. Fresh garlic, minced --- 2 Tbsp. Ginger, shaved --- 2 tsp. Drain mozzarella pearls and pat dry with paper towels. 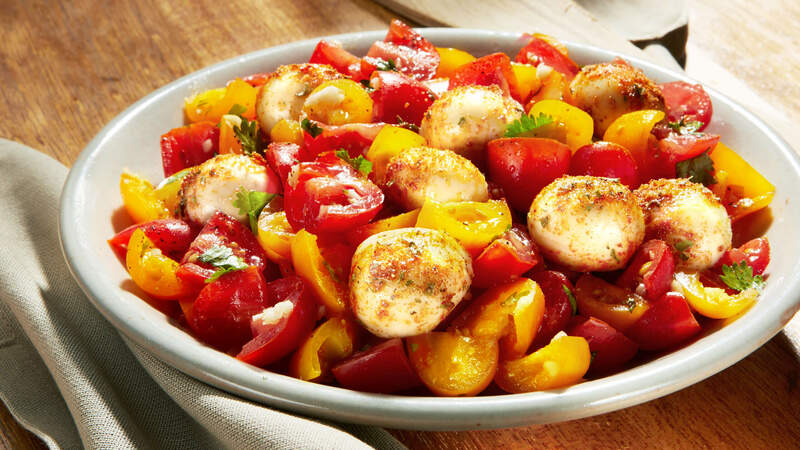 Toss mozzarella in TABASCO® Chipotle Spray Dry, let stand. Mix all remaining ingredients and garnish with salt and pepper. Add seasoned mozzarella to above, plate.